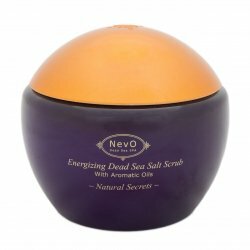 Body Scrub combines Dead Sea salt, 20% of moisturising oils from avocado, olives, sunflower and sesame and aromatic oils. You can choose scent: Ocean – lavender, lilac and jasmine, Natural Secrets – tropical fruits, Eternal Youth – citruses, and Pure. Minerals maintain the optimum amount of moisture in the skin, which has a beneficial effect on its elasticity and youthful look. 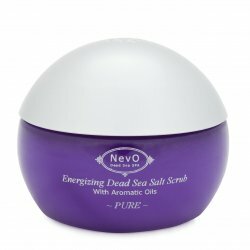 A small amount of salt is used as needed either for whole body massage (1x per month), dry areas such as joints, thigh and buttocks (1x per week), hands and cracked heels (1 - 3 times a week as needed). 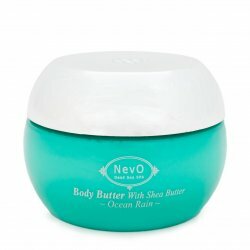 The massage improves blood circulation in muscles and releases them, dead skin cells are removed and the oil finally softens the skin, therefore, cream is not used after a shower. Regular massage finished with a cold shower facilitates removal of toxins and helps to smooth the skin (fighting cellulite). The cells in the lower layers of the skin are constantly divided and push the older cells to the surface, thereby moving away from the source of nutrients. They are gradually filled with keratin and a die. These cells gradually accumulate in the topmost layer of the skin and cause the impression of a dull greyish skin. Abrasive particles of peeling remove dry skin and perform a massage while promoting blood circulation. It is then easier for the new skin cells to get on the surface, they grow, the skin is activated and its recovery is quicker. This cosmetic technique was known and used in ancient Egypt, and also in advanced cultures in Asia. Description: Body Scrub combines Dead Sea salt, 20% of moisturising oils from avocado, olives, sunflower and sesame and aromatic oils . You can choose scent: Ocean – lavender, lilac and jasmine, Natural Secrets – tropical fruits, Eternal Youth – citruses, and Pure. 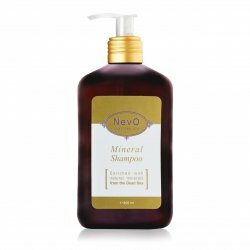 Minerals maintain the optimum amount of moisture in the skin , which has a beneficial effect on its elasticity and youthful look.